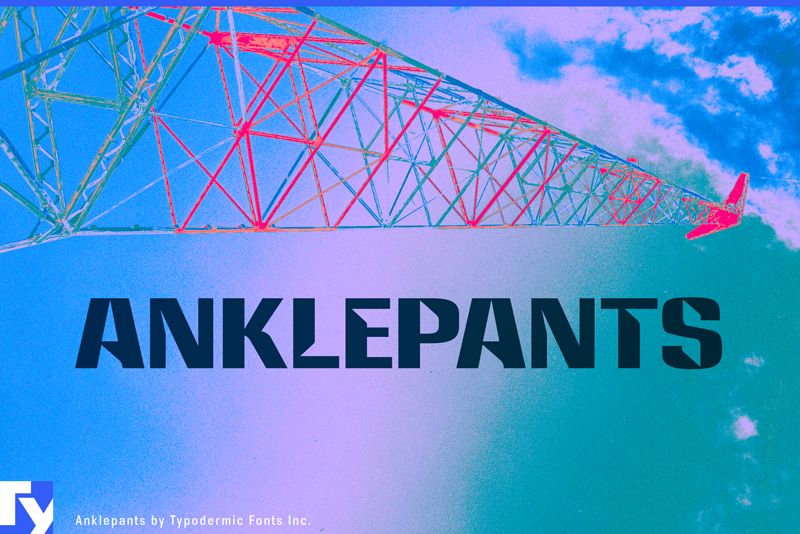 Anklepants is a tribute to the display font once used by Westinghouse-owned CBS radio stations. Anklepants has been updated with improved vertical metrics for cross-browser web performance. Lots of glitches and inconsistencies have been ironed out. Commas and quotes have a slightly different look and there’s a new @ sign that fits right in. More languages are supported and accents have been redesigned. Spacing and kerning have been improved. More punctuation and math symbols have been added as well as fractions and numeric ordinals.